Sometimes music inspires art and Homeboy Sandman definitely does that with his music. 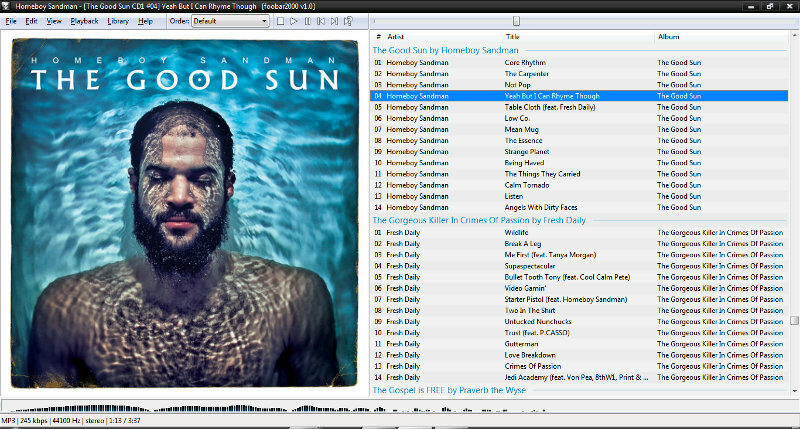 I saw his album cover and wanted to enhance my foobar so I rearranged the layout so that the album art was the focus. Then I chose colors to connect with it to make a simple and clean layout. For more information to beautify your mp3 check out this post on Ecliptic Sight.